ShutterstockMattress Firm could close up to 700 stores. Mattress Firm filed for Chapter 11 bankruptcy protection on Friday. CEO Steve Stagner said in a statement that the mattress retailer would be closing as many as 700 stores in markets where it has too many locations. The retailer has been criticised for having too many stores in the United States. In January, a Reddit thread that suggested Mattress Firm was laundering money because it had so many stores went viral. Mattress Firm denied the allegations. Last October, Mattress Firm filed a lawsuit against two former employees, a broker, and a group of developers, accusing them of conspiring to push the company to aggressively expand. 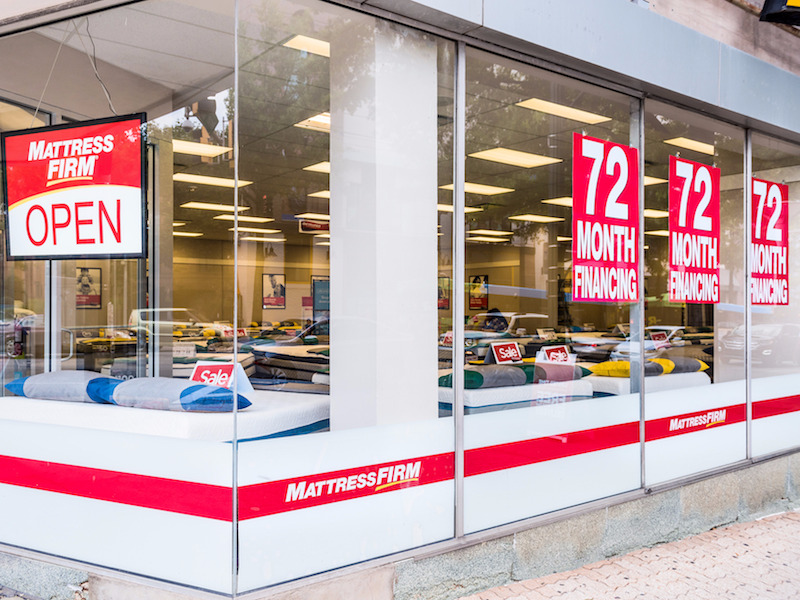 Mattress Firm filed for Chapter 11 bankruptcy protection early Friday morning and announced it would be closing as many as 700 stores in the United States. “The process we have initiated today will allow us to strengthen our balance sheet and accelerate the optimization of our store portfolio,” CEO Steve Stagner said in a statement on Friday. 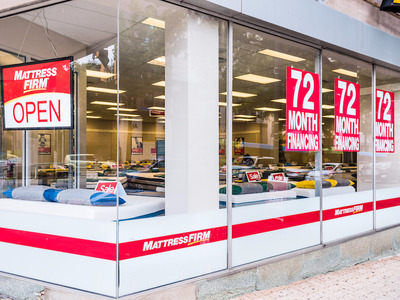 Mattress Firm is currently considered to be the US’ largest specialty mattress retailer with an estimated 3,272 stores across the US, according to Wedbush analyst Seth Basham. Its store count has grown significantly in the past few years as it has expanded quickly and acquired competing chains such as Sleepy’s, which it purchased in 2016. The news comes just months after a wild conspiracy theory accusing Mattress Firm of being a money-laundering operation went viral online. “Mattress Firm is some sort of giant money laundering scheme. I remember seeing 4 mattress firms all on each corner of an intersection once, and there is no way there is such a demand for mattresses,” one Reddit user wrote in January. Redditors argued that the chain had too many stores in the US given that mattresses are a product that is typically bought every seven to 10 years. According to data startup Thinknum, 42.6% of Mattress Firm stores are located within a one-mile radius of each other. At the time, then-CEO Ken Murphy denied the money-laundering allegations and defended Mattress Firm’s massive store count. There may be more to its rapid expansion than meets the eye, however. Last October, Mattress Firm filed a lawsuit against two former in-house real-estate executives, an external broker, and a group of developers, accusing them of conspiring to make Mattress Firm expand, open stores in expensive locations, and sign leases above market rates. At the end of 2017, its parent company, Steinhoff Holdings, which is currently being investigated on charges of fraud, said it would be closing 200 Mattress Firm stores. At the time, analysts expected that many more would follow.